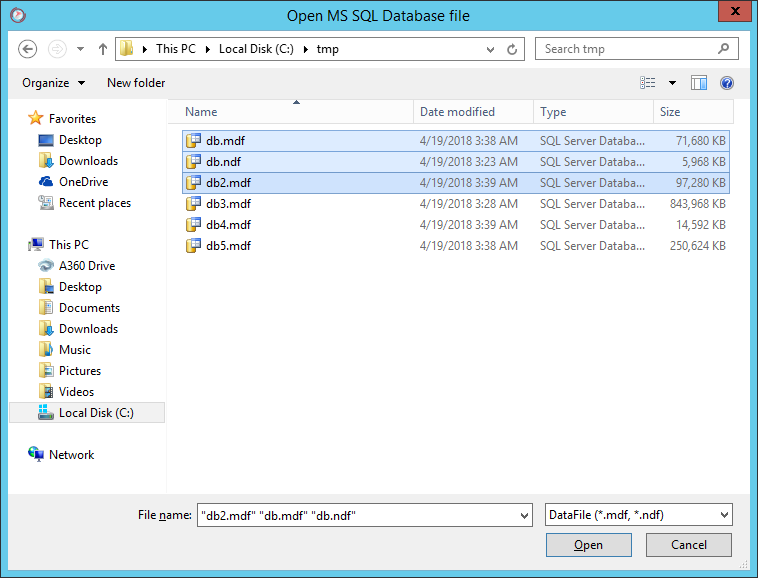 A database in MS SQL Server format contains one or several files. There are several types of files: main data file (with *.mdf default extension), secondary data file (with *.ndf default extension) and a transaction log file (with *.ldf default extension). 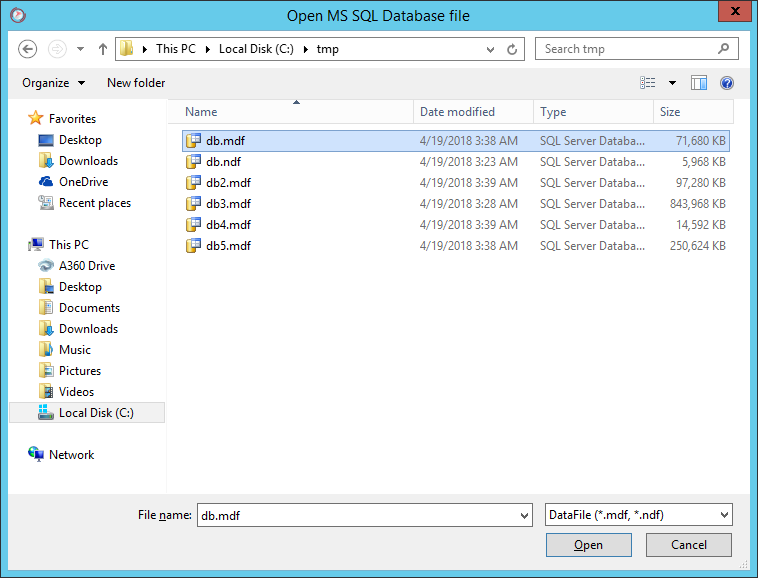 If you'd like to repair data with Recovery Toolbox for SQL Server, you should specify the path to all secondary data files and the main data file. It can be made with Open File dialog box. If corrupted database contains the main data file, a secondary data file(s) and a transaction log file(s), you should select the main data file of *.mdf format and all secondary data files of *.ndf format (see fig. 2).